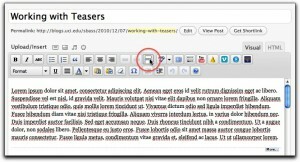 WordPress supports creating an excerpt or “teaser” for your Post. 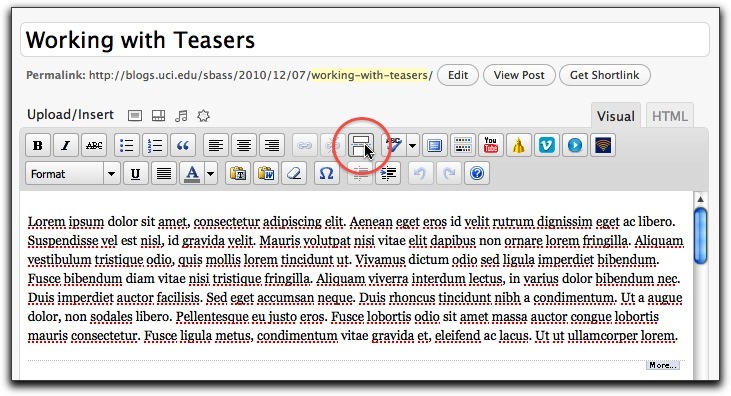 If your content is long and you would like to display only the first part on your blog’s homepage, you can use the “more” tag. Type in or copy and paste your content. Decide where you want the “Read More” link. This initial content is also called the “Teaser”. This will insert the “More” quicktag. When you are finished with your Post, publish it. On your Blog’s main page, you will see your post with the “Continue Reading…” link.